Inga blew our minds with her analytical skills at the School of Startups. 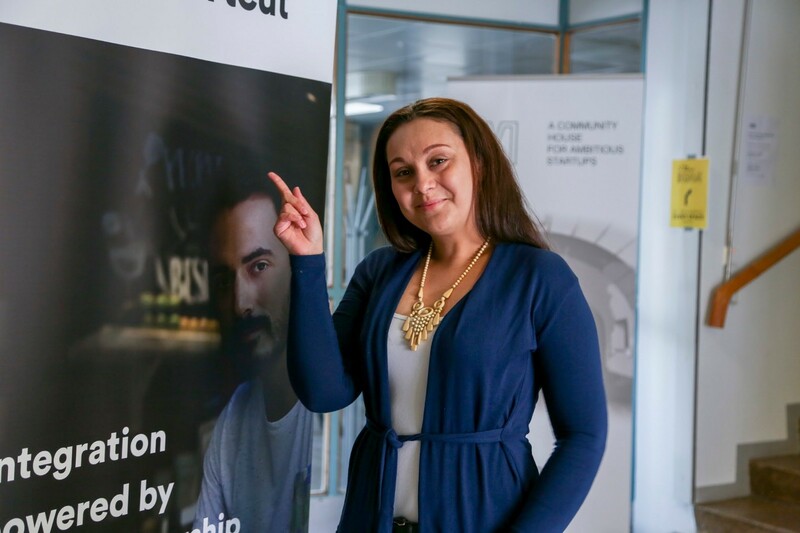 Inga has been an active volunteer for The Shortcut since spring and since then she has been contributing to The Shortcut event production and post-event analytics. Thanks to Inga we know who attended the School of Startups this spring and in which direction we should move forward this fall. 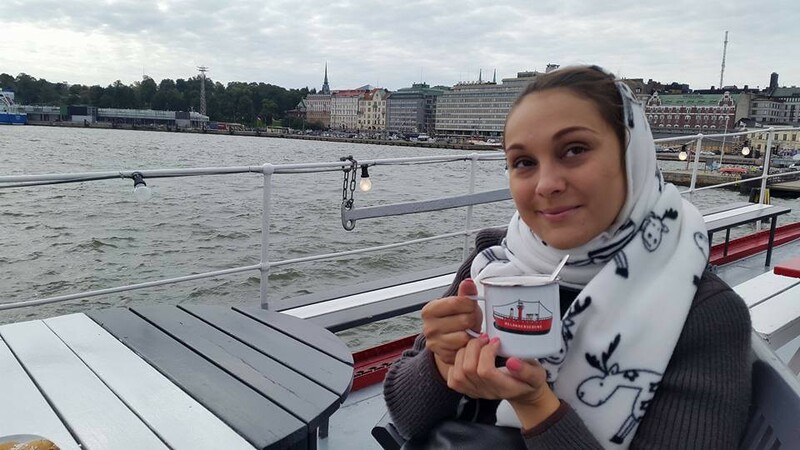 “Originally from Ukraine, Kyiv, I made a long journey in my career coming from psychological counselling to financial analysis; from private entrepreneurship to diplomatic service and work at one of the biggest banks of Ukraine. I have been always looking for opportunities to expand my horizons and that was one of the reasons that brought me to Finland. They say it usually takes 2 things for a big move: an idea and a possibility. I had an idea of starting a new chapter of my life in another country, and when my husband got an offer to move to Helsinki for work — that was a final factor that helped me to make up my mind. We were moving to Finland. It takes 2 things for a big move: an idea and a possibility. I guess that when you are moving to another country there are always pluses and minuses. My move was rather smooth. I love people here: their politeness and respect to your personal space. Some may say that Finns are not that friendly — I will never agree to that. Ask a by-passer for help and they will spend 30 mins of their time trying to help you out. And even if they can’t help you they will find somebody who can! I love the level of comfort: those coming from Post-Soviet countries would understand that more. Summer is surprisingly one of the favorite things in Finland for Inga. I admire the respect Finnish people have for nature: living 5 minutes from the city-center you still have the impression that you live in a forest. And a consequence of the previous point — the air here is unbelievable. Also, one of the biggest pluses for me is the level of safety. One day I left a wallet lying on a bench in a park. When I came back for it 2 hours later — it was still there. Quite impressive, isn’t it? If we talk about cons — of course it’s impossible not to mention the Finnish weather. Now, that it’s summertime, I don’t even remember what I didn’t like about it. Summer weather in Finland suits me perfectly (mostly because I can’t stand the heat). But of course never-ending winter can be rather exhausting. Especially if it’s April-May when it is so warm in your own country, but in Finland it still looks rather gloomy and it can even snow from time to time. One more, probably the biggest challenge, I faced here, is the difficulty to find a job. I moved to Finland in January 2017 and I was a job-seeker since then. I can’t say that I have the worst CV in the world. But I have to admit, I’ve seen people here from different countries of the world with CVs much more impressive than mine and they are still unemployed. That was basically the reason which brought me to The Shortcut. Finnish startup ecosystem is the environment that brings the craziest ideas to life, while creating value for people. When you come to Finland and you are looking for a job you will understand one thing soon enough — everything is about networking. The Shortcut creates a perfect environment to do that. When meeting new people you also learn new skills, gain new knowledge, enhance the skills you already had. I should say I have grown personally since I joined The Shortcut this April. With time, you start to be involved in the startup world, and that was one of the reasons that helped me finding the internship that I am doing at the moment. Inspiring to innovate! Handpicked business, marketing, technology articles and startup news from Finland for entrepreneurs and startups.